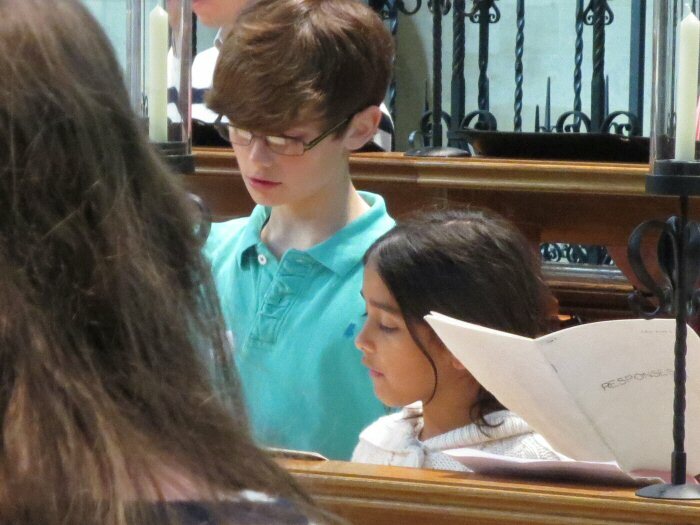 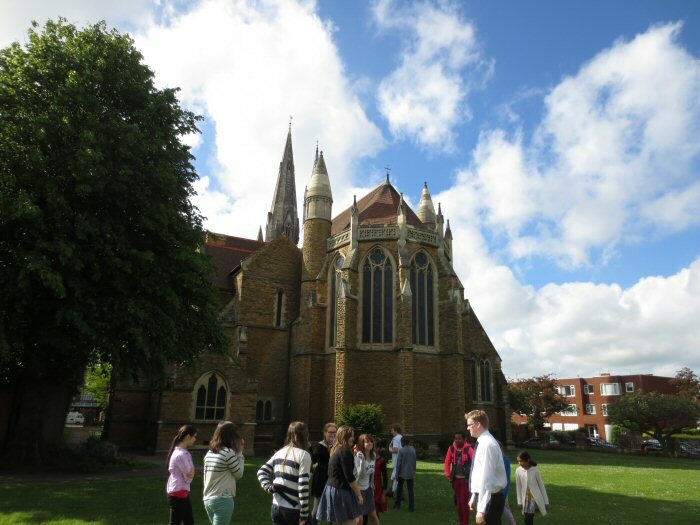 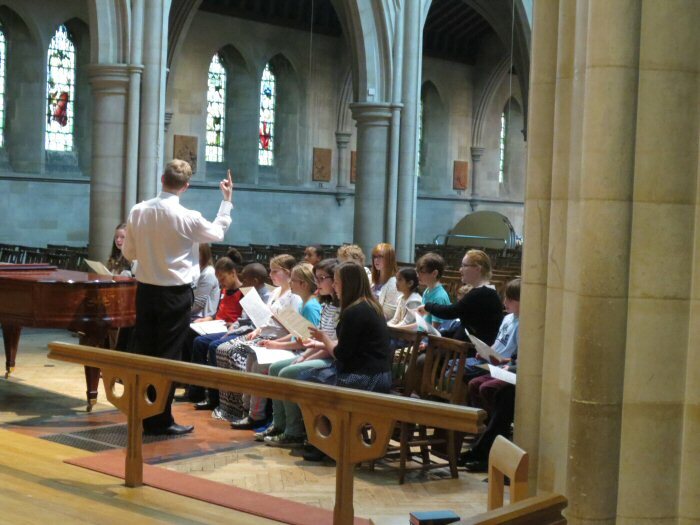 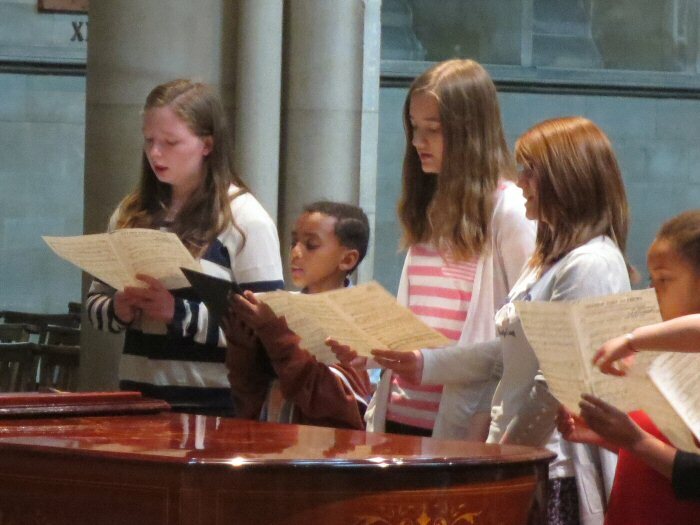 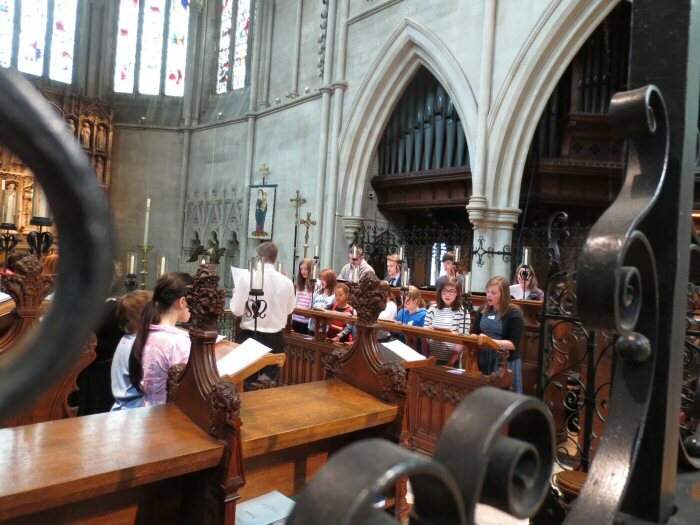 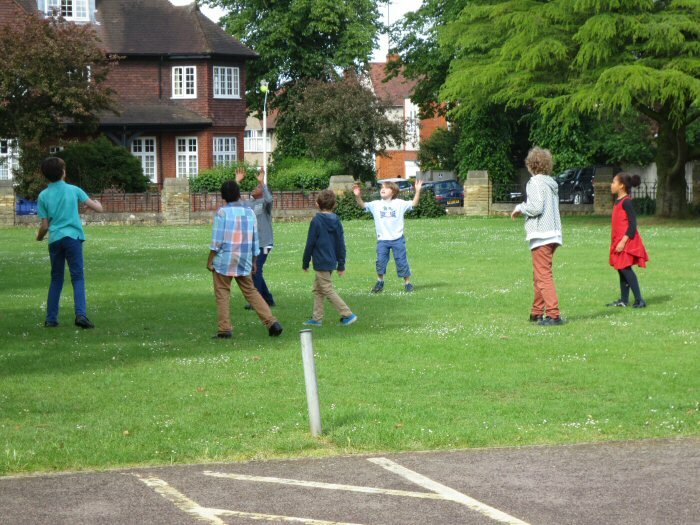 St Matthew’s on Sunday 16 June to find out what being a chorister in a choir such as St Matthew’s is all about. 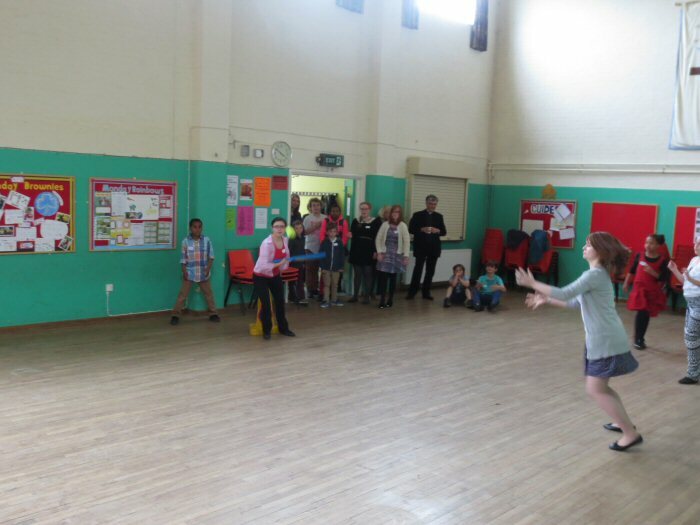 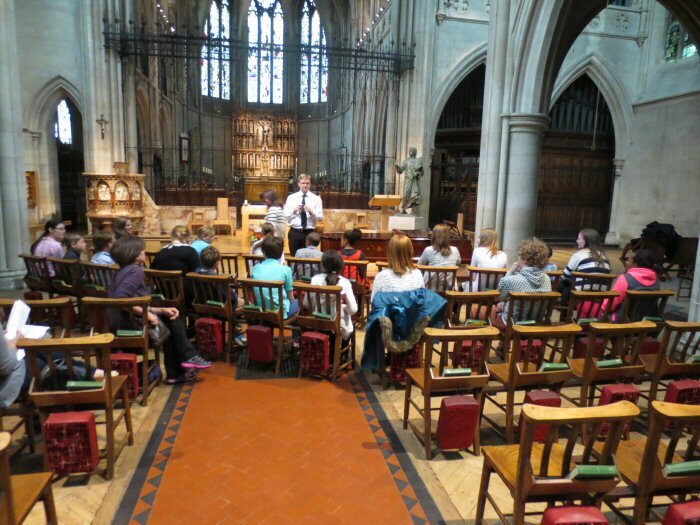 This is the third time the church has held this important recruitment day, and its popularity continues to grow with children and parents alike. 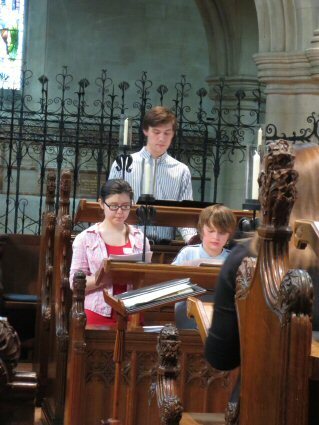 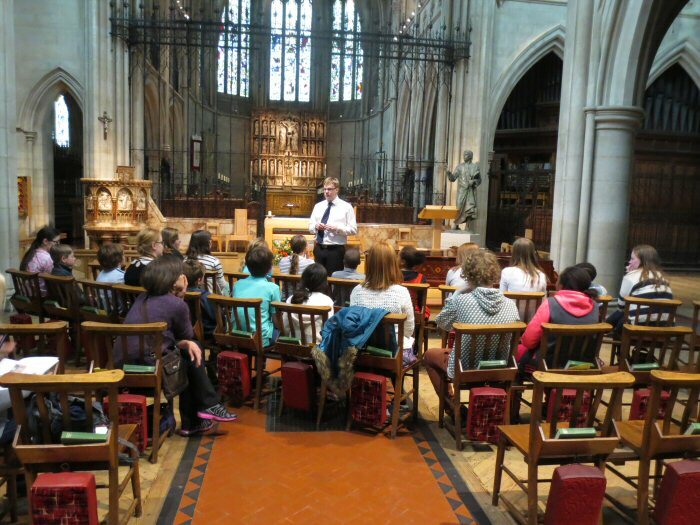 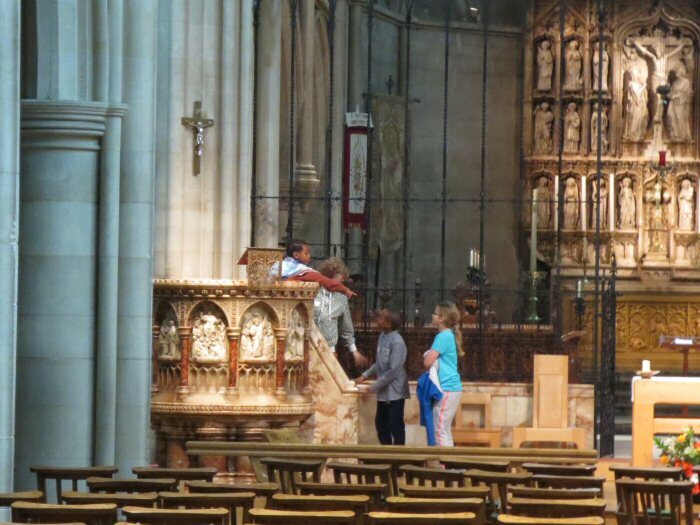 explaining about what is involved in Choral Evensong and beginning to teach the music ready for the service. 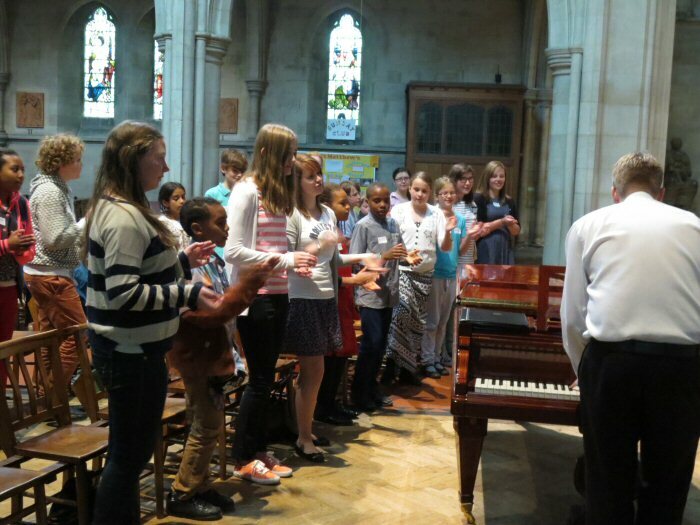 B-flat and Rutter The Lord bless you and keep you and all joined in well with the ‘big tunes’. 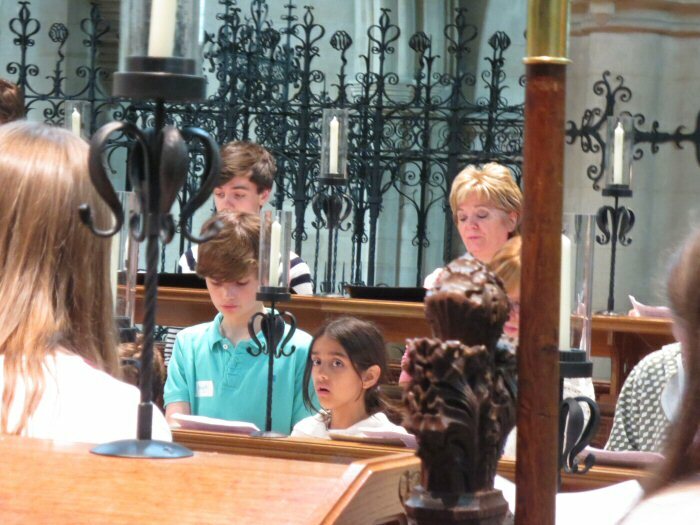 The choir robed for the service, and this allowed the prospective choristers to see what they would be given to wear as well as having a sneak peak in the Song Room which is the nerve centre of the choir’s life. 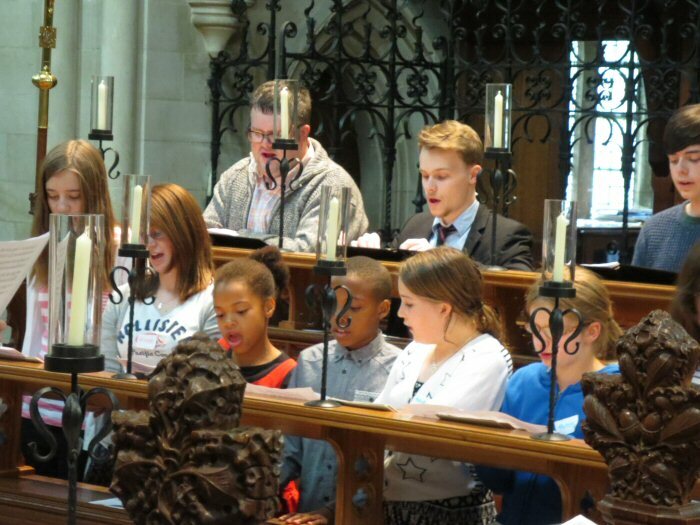 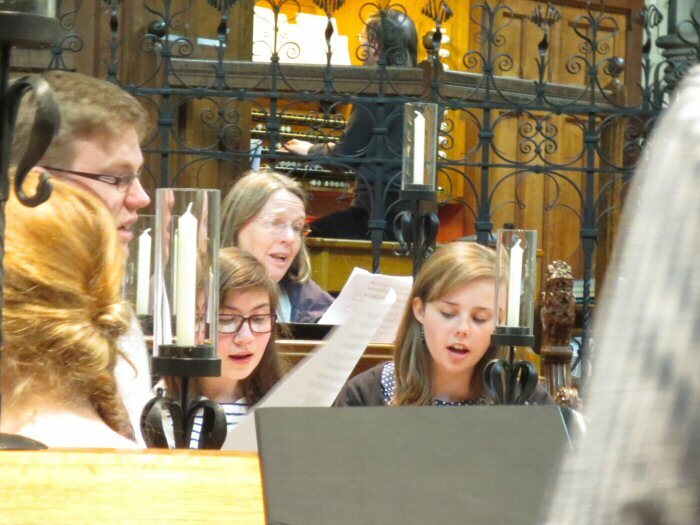 Parents and choir supporters alike joined the regular St Matthew’s congregation at Choral Evensong with some electrifying singing from the choir. 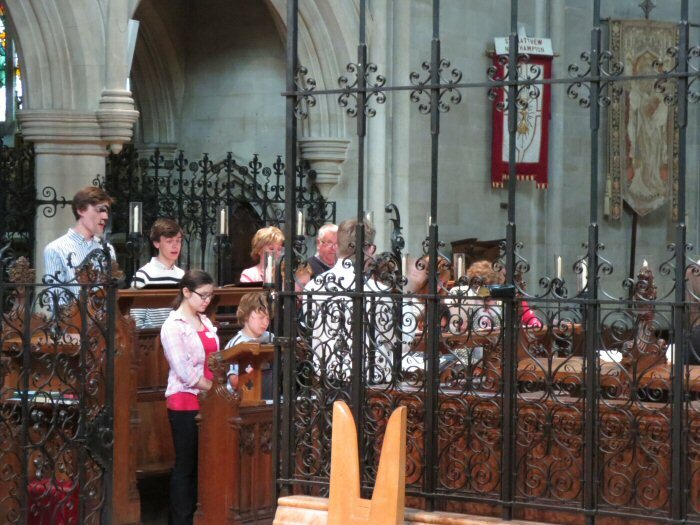 Afterwards we bade our farewells to our new friends and invited them to come back and see us in the near future. 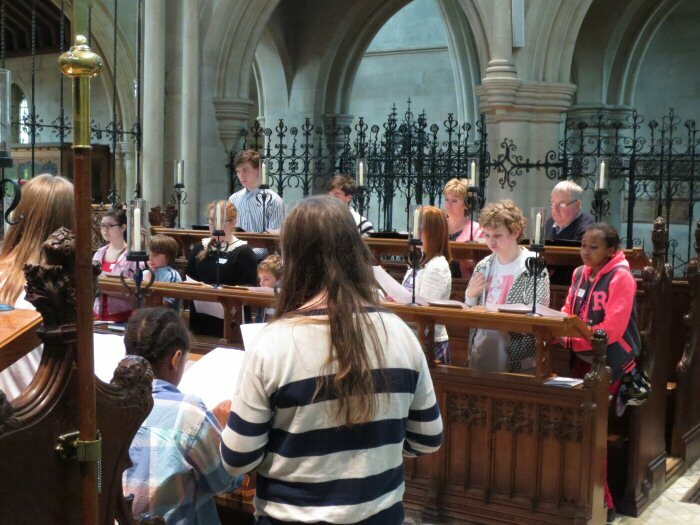 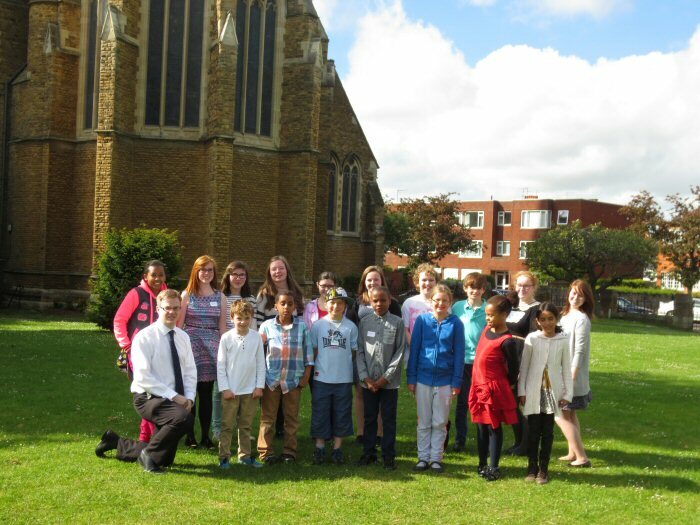 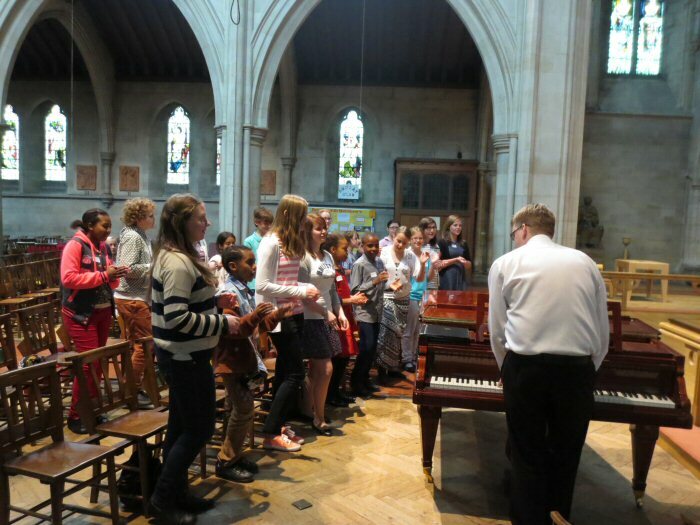 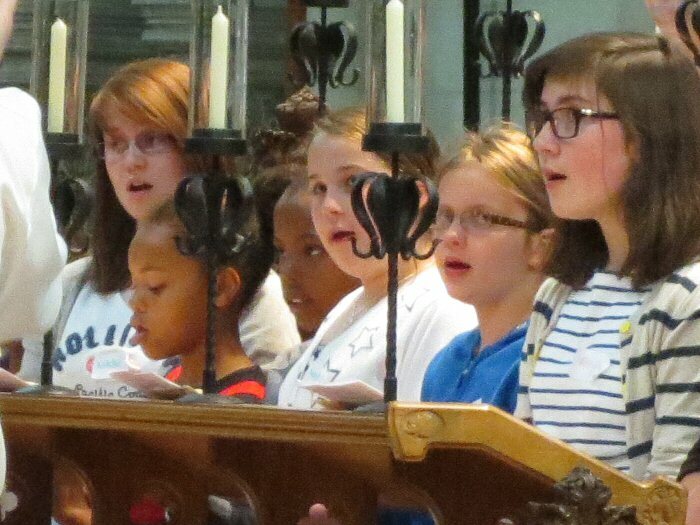 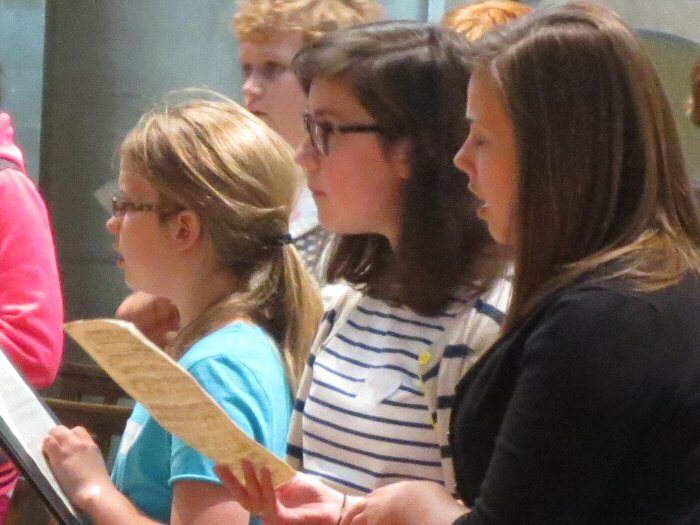 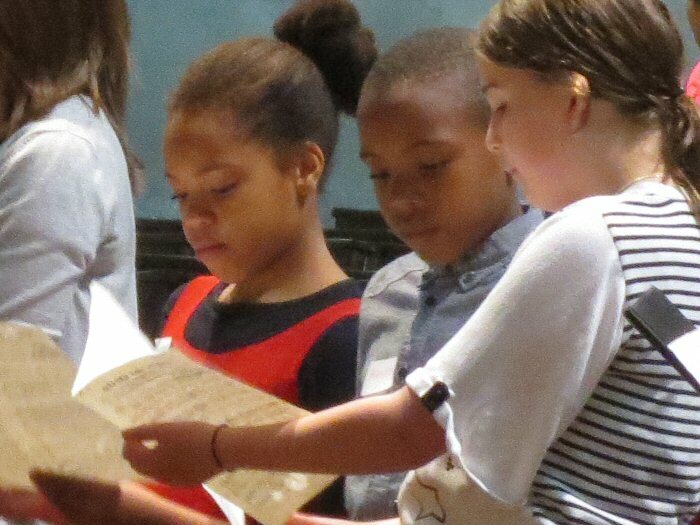 St Matthew’s Choir is an important point of growth within the community at the church and numbers have been increasing steadily under the watchful eye of the Director of Music. 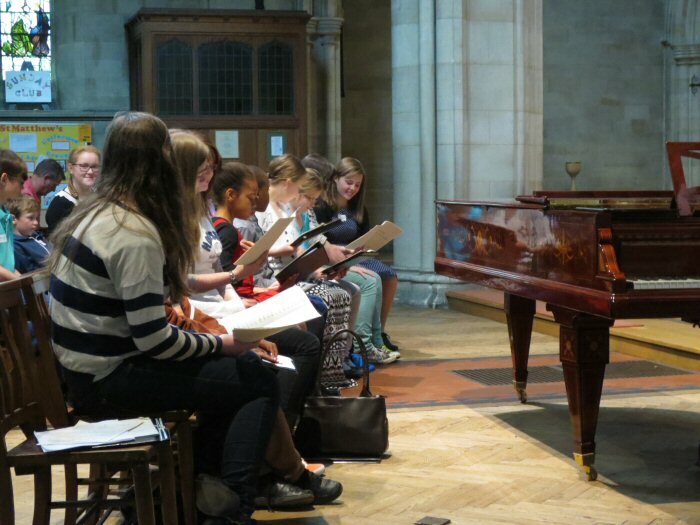 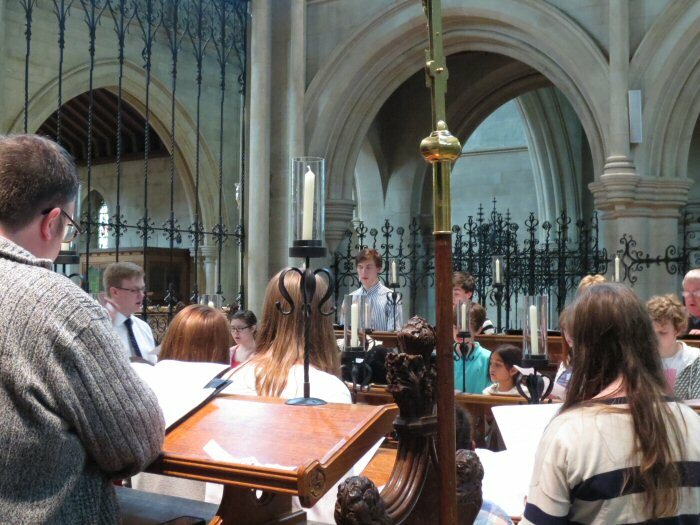 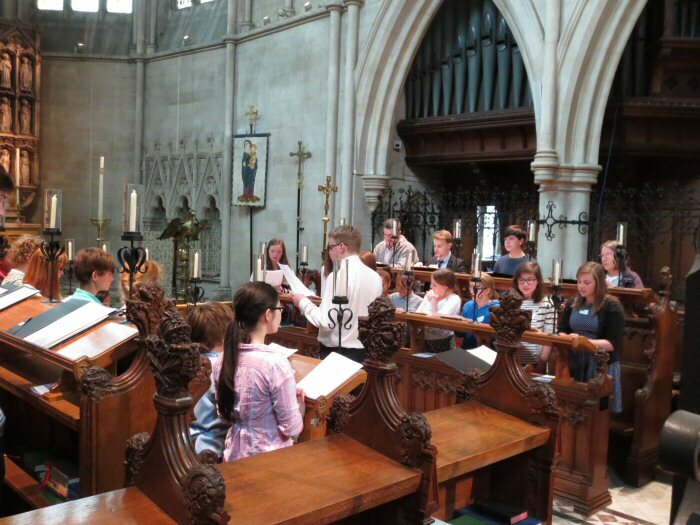 With the release of their first CD for 20 years, an exciting choir tour just around the corner, and a busy time planned for next term – including the Patronal Festival weekend in September and Evensong in Peterborough Cathedral in November – the choir is going from strength to strength. 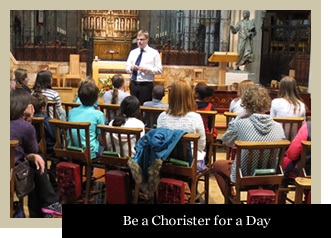 If you are interested in becoming a member of the choir here at St Matthew’s then please do contact the Director of Music, Stephen Moore, who is always delighted to hear from prospective members. 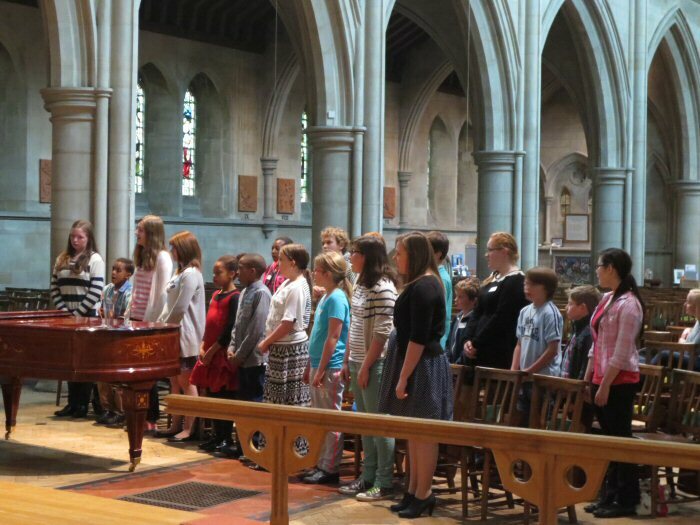 More information about the choir, who we are and what we do, can be found on the Music pages.